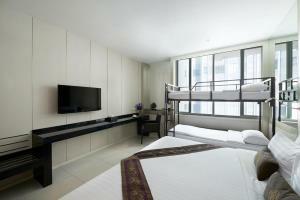 Mandarin Hotel Managed by Centre Point is a 5-minute walk from Sam Yan MRT Subway Station. 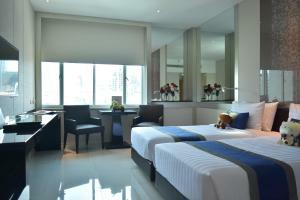 It offers luxurious rooms with free Wi-Fi. The property features a tour desk, pool and fitness centre. 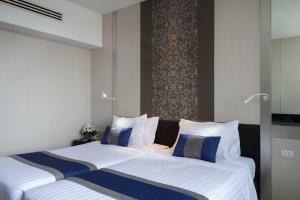 The property is a 5-minute drive from Wat Hua Lam Phong and a 10-minute drive from Paragon and MBK Shopping Centres. 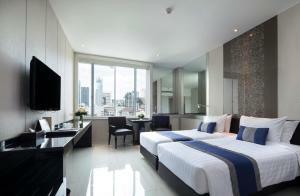 It is a 15-minute drive from Hua Lam Pong Railway Station and Hua Lam Pong MRT Subway Station. 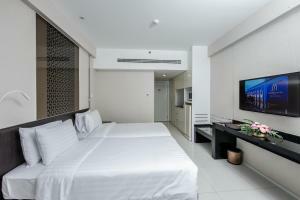 Rooms are fitted with a flat-screen TV, refrigerator and microwave. They also have a seating area and safety deposit box. Free toiletries and hairdryer are provided. Staff at the 24-hour front desk can assist guests with currency exchange and laundry service. Free public parking is possible in a nearby location. Guests can enjoy a variety of Thai and international dishes at Krua Luang Restaurant between 10:30-22:00 hrs. Please present the same credit card used to guarantee your booking when checking-in at the hotel. Cardholder name must also match with guest’s identification document or guest may be asked to pay with alternative method. Guests are required to show a photo identification and credit card upon check-in. Please note that all Special Requests are subject to availability and additional charges may apply. 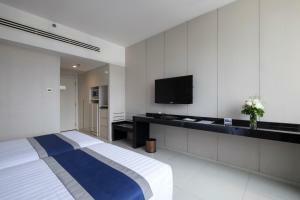 Rooms are fitted with a flat-screen TV, refrigerator and microwave. They also have a seating area and safety deposit box. Free toiletries and hairdryer are provided. 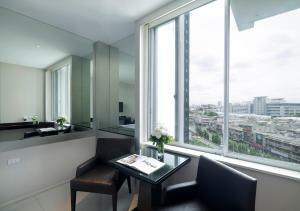 A complimentary minibar and 2 bottles of mineral water are offered upon arrival. 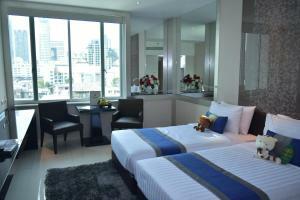 Rate: THB 2557.50 ... THB 20750.00; select dates below to get current rates. Spacious suites feature a separate living room. 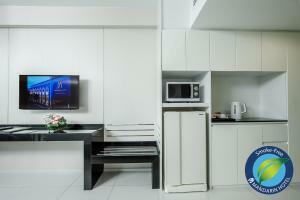 The units are fitted with a flat-screen TV, refrigerator and microwave. They also have a seating area and safety deposit box. Free toiletries and hairdryer are provided. 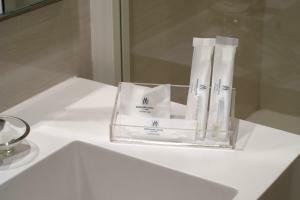 A complimentary minibar and 2 bottles of mineral water are offered upon arrival. This quadruple room has a minibar, a private bathroom and air conditioning.